Hollywood upcoming horror movie Poltergeist release date is pre-pone. Previously it was set for July 24, which is now changed to May 22, 2015. 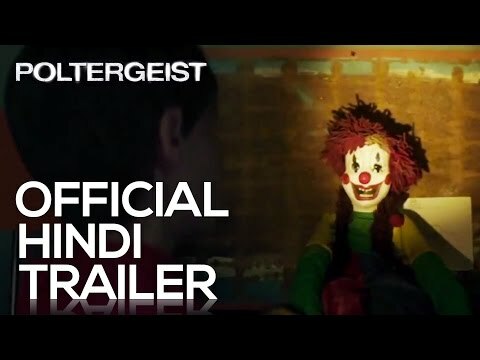 Poltergeist is a hoorror movie from (“Spiderman,” “Evil Dead”, “The Grudge”) marked filmmaker Sam Raimi, and its director is (“Monster House”) famed Gil Kenan. Sam Rockwell, Rosemarie DeWitt, Jared Harris, Jane Adams, Saxon Sharbino, Kyle Catlett, Kennedi Clements, and Nicholas Braun are the leading stars in Poltergeist. Poltergeist is story of a family, whose new suburban home is haunted. The trailer is good and impressive, but scenes of electricity or electronic items fluctuations in the presence of evil forces is bit old. But overall, trailer is good enough to raise expectations from the movie.